Visiting the Atomic Testing Museum is probably not the first thing on the mind of the average visitor to Las Vegas. But there it is, this interesting little museum, just off the strip on the edge of the University of Nevada, Las Vegas campus at 755 East Flamingo Road. 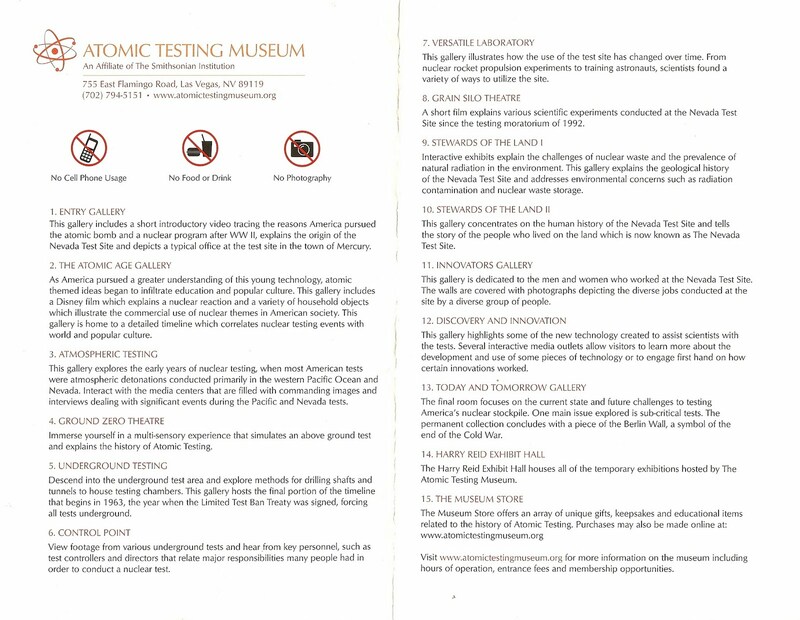 The brochure (attached) reads Atomic Testing Museum – Experience Science and History by the Megaton! Learn how America’s Cold War Warriors unlocked the secrets of the Atom in the Las Vegas desert. This sort of gives you a hint for what’s in store: an unapologetic (or maybe unabashed?) look at atomic testing. 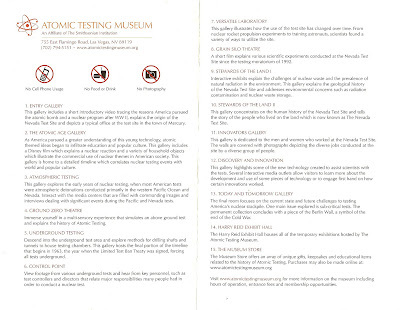 While the museum does a good job outlining the reasons why America pursued the atomic bomb and a nuclear program after World War II, it never really considers a the bigger picture adequately. It doesn’t broach the subjects of the cost of the nuclear testing financially (an example estimate) and health-wise (e.g. downwinders1 and downwinders2 and downwinders3) – at least not in an substantial way that we saw. The museum does talk a little about the challenges of nuclear waste, but does so toward the end of the exhibits where it might be easily glossed over. 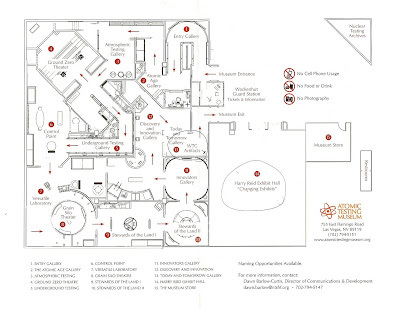 Look at the accompanying map of the museum. 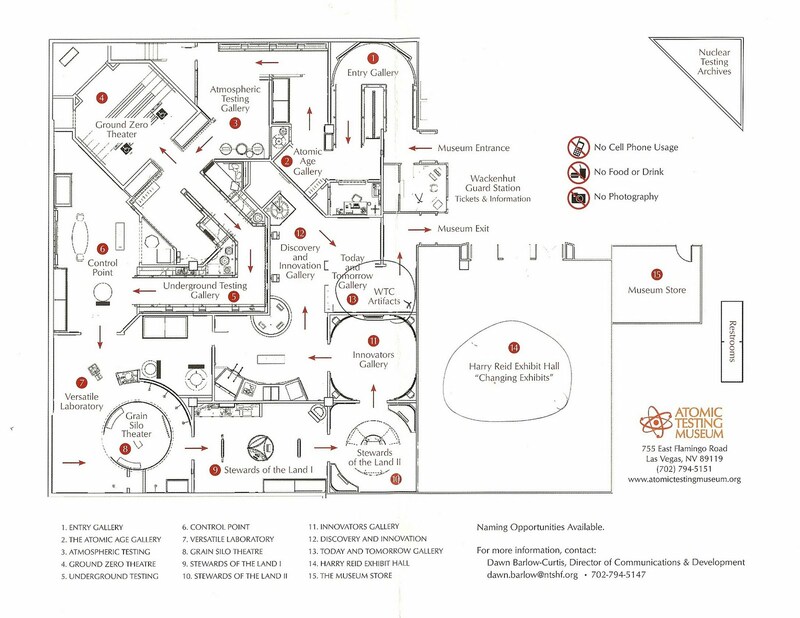 What would it be like if you put the “Stewards of the Land” exhibit which talks about nuclear waste as the first exhibit, what would be the final impression of the average visitor? Despite the pro-atomic testing stance of the presentation (what would one expect? 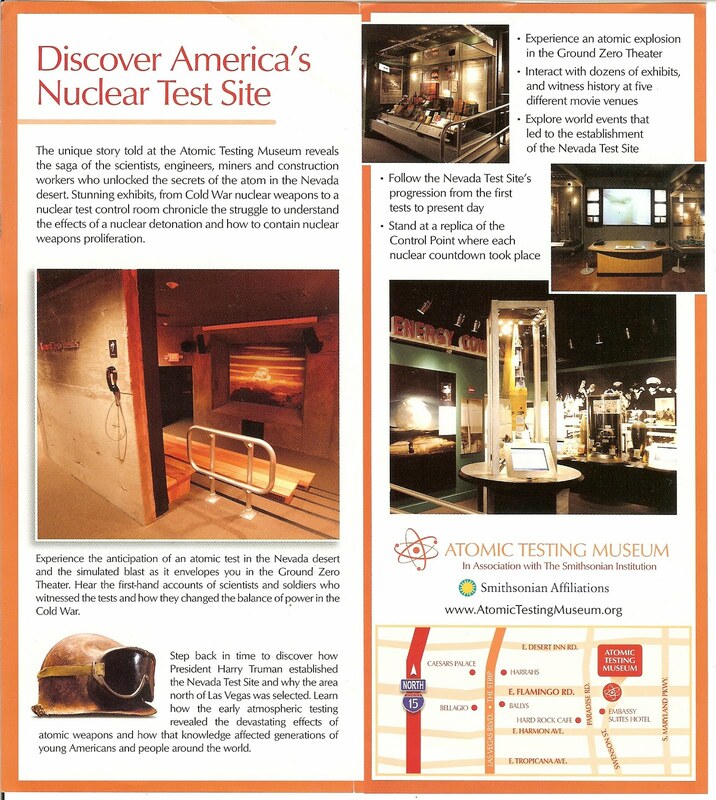 ), the museum is worth a visit if not to learn a little about the science and get you thinking about atomic testing. 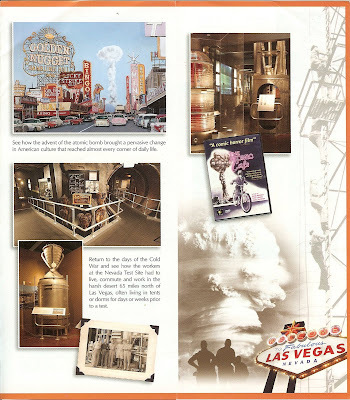 The multimedia displays (each theme is called a gallery) are generally interesting and you just may learn some History by the Megaton! Note: the demonym for someone from Las Vegas is Vegan. In the Atomic Testing Museum we saw a poster that said “Vegans against Nukes” - or something to that effect - and we kept thinking of it as vegan as someone who practices veganism. A little cognitive dissonance on our part.